UMIDIGI is a Chinese brand that is primarily known for its budget flagship devices. Earlier known by the name UMI, the brand recently came into the limelight because of its Z2 and Z2 Pro flagships. 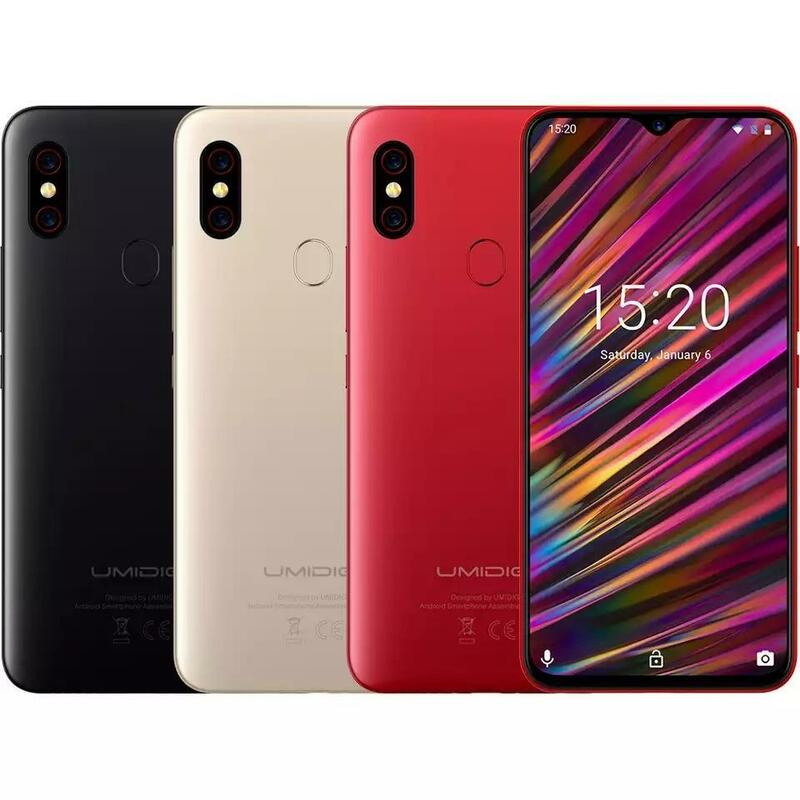 Now, the brand is back with another stunner – the UMDIGI F1, a stylish device themed like the supercar it’s named after, all at a price tag of $199. The F1 will run on Android Pie (9.0) out of the box and will have SD card support. The latest official images and specs list confirm the following details surrounding the launch of the UMDIGI F1. Hardware wise, The F1 sports a massive 6.3 inches FHD+ LTPS display spanning a resolution of 2340 x 1080 pixels with a 92.7% screen-to-body ratio. This 19.5:9 aspect ratio makes this phone a killer deal when it comes to the immersive video and gaming experience on a full-screen device. The renders also brandish a waterdrop notch and a fine bezel around the edges all secured by the 2.5D glass, giving a truly impressive look and feel to the F1. The device is also believed to be just 8.8mm thick. Under the hood, the F1 is going to be powered by a MediaTek Helio P60, an octa-core 64-bit processor with 4 Cortex-A73 clocked at 2.0 GHz and the remaining 4 Cortex-A53 cores running synchronously. The graphics-intensive tasks, like playing high-end games like PUBG, are easily handled by the Mali-G72 GPU. Coming to memory, The F1 will have 4GB of LPDDR4X RAM coupled with 128GBs of onboard storage which is now expandable up to 256GB via micro-SD card support through the F1’s dual-SIM slot. The UMDIGI F1 packs a dual-rear camera shooter using a 16MP+8MP setup which has an Aperture f/1.7. The front sports a 16MP selfie snapper. But what blows the competition out of the water is what keeps the lights on – the massive 5150 mAh battery. The MediaTek AI further optimizes the longevity by studying usage patterns and thus gives sufficient runtimes. The F1 also comes with 18W fast charging support and NFC. As stated in the official launch, The UMDIGI F1 will go on open sale starting January 7th, 2019 at $199.99, more information on which can be obtained from their official website. You can also join the smartphone giveaway here on the official website. The phone is available on AliExpress and can be bought from here.